Successfully Added EONE VC3268P Multifunction Clamp Multimeter - Temp, Phase Sequence, Frequency, 30A/300A/1000A AC Measurements + Digital LCD to your Shopping Cart. AC Clamp Meter Multimeter is the ideal tool for professional or DIY electrical work with a LCD display for easy to see results. The E-One VC3268P is an AC Clamp meter Multimeter has True RMS measurement. It has high speed sampling at 4000 times per second and has a rang from 3A to 1000A which means it’s ideal for household appliances, refrigeration equipment, energy saving product testing, single / three phase power testing, electrical power testing and a host of other applications. For low current detection the device adopts panel linear calibration technology and special compensation circuitry to overcome small signal phase shift and to avoid errors with power measurements which helps it creat greater accuracy. 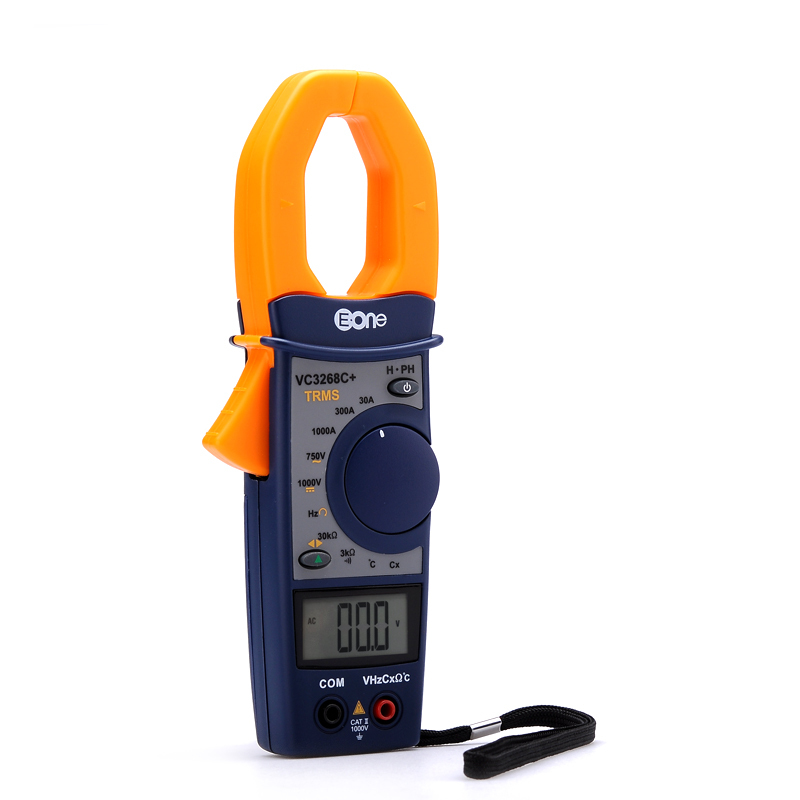 The clamp meter design allows it to be used by electricians as an easy way to measure currents around electrical conductors without coming in to physical contact or needing to disconnect them to insert through the probe. The meter features temperature measurements with the semiconductor temperature probe power and capacitance detection as well as a self discharge protection mechanism and digital display for easy to read results. This product is in stock now, we guarantee next working day shipping and offer a 12 months warranty on all our products. Brought to you by the leader in electronic devices and wholesale electronics and cool gadgets, Chinavasion.